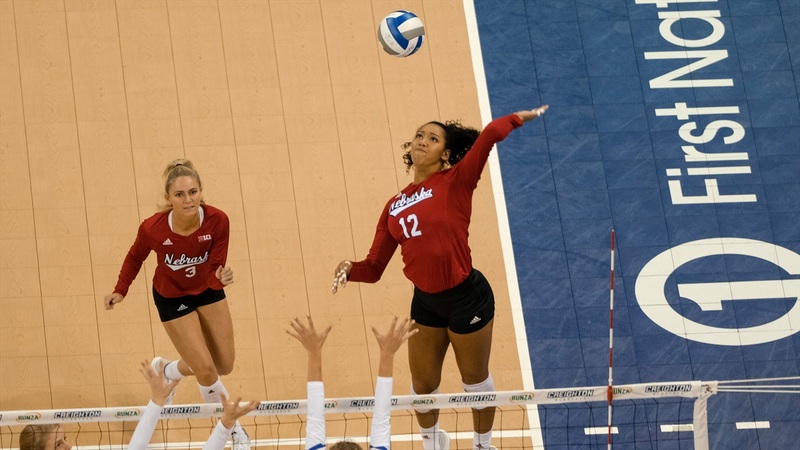 Sophomore opposite hitter Jazz Sweet made the Big Ten All-Freshman team and played in all 125 sets for the Huskers last season in what was a very productive first year in Lincoln for the native of Tecumseh, Kansas. However, Sweet wasn’t content ofter a solid year. She wanted more and her coach said she came back a different player this year. “I just think Jazz understands what she needs to do now,” Coach John Cook said. “She knows what she needs to do blocking. She knows what she needs to do hitting.